There are lots of ways to save money, but in my opinion, finding free things to do is perhaps the most rewarding. There are lots of free sources of entertainment available if you look for them. Check out the free local newspapers in your area for a list of upcoming events. Or, you can probably find it on a website for your community. If not, just ask around with your friends, family and colleagues to see what they do for fun and for free. Try to think of things that you don’t normally do so that you can hopefully find some fun and creative ways to entertain yourself, your family and friends. Here are a few of the things that our family takes advantage of for free. This is my favorite. Every so often we pack up the family and drive to some type of nature reserve or state park to go on a hike, or as we tell the kids, “go exploring”. There is an arboreteum by us that is owned by the University of Wisconsin. We can walk around the woods on nice trails for hours and hardly see another person. More times than not we see several turkeys and deer up close. The kids love it and it’s always nice to get fresh air and exercise. Another area we go to hike is at a State Park. While technically this isn’t free since you need a car pass, it is very inexpensive. However, if you want in for free, you just have to park outside the park and walk in. 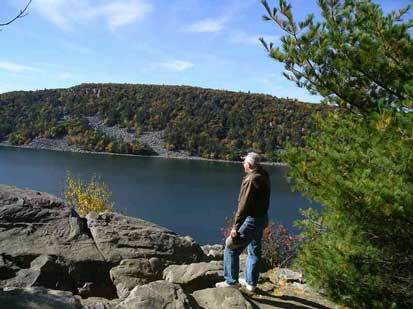 There is a state park called Devil’s Lake that has a two scenic bluffs that you can hike. In between there’s a small lake that doesn’t allow motors, so you can go snorkeling or to the beach. The trails offer scenic views and lots of climbing if you’re up for it. Every state has free hiking trails. To find some near you do a search for hiking trails in your area on the internet, or get a local trail guide book from the library. There’s nothing like a day at the beach. The nice thing is that most public beaches are free. Near us, we have some county parks, state parks and city parks that all have free beaches. If we drive a few hours East we can go to free beaches by Lake Michigan. Not only are beaches free, but they are quite fun too. They offer swimming, snorkeling and even fishing. For kids, the best part might be playing in the sand. We often go on picnics at a local park. Besides the cost of food, is is another thing to do for free. Throughout the city there are a few “mega” parks that have several acres of unique slides, building and creations. We utilize these free parks quite often, and it is often worth a drive across town to explore a new one. We’ve already mentioned all of the state and county parks that you can also visit, but you should also keep an eye out for other a special kind of park – gardens. 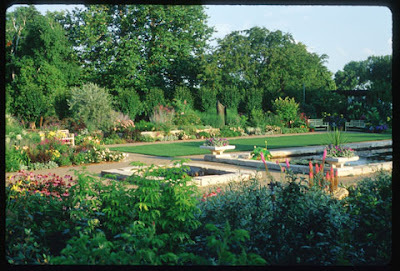 There is a place called Olbrich Gardens near us that has acres of finely kept grounds that boast habitats from all over the world and include such things as rock gardens, water gardens, rose gardens, herb gardens and even tropical gardens. Many of these gardens are open to the public and some of them are even free. We have a local zoo that is free. 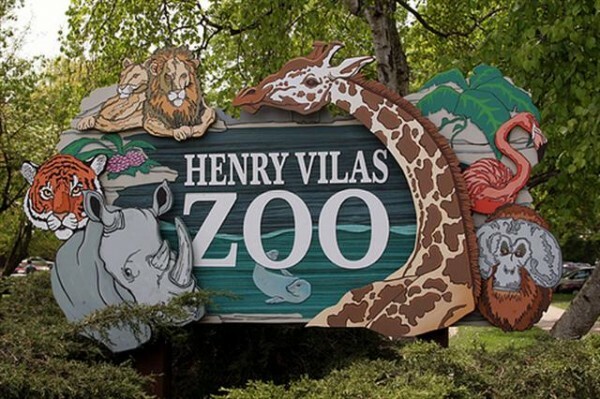 It is called Henry Vilas zoo and all of the land was donated by a man that stipulated that the zoo must be free to everyone. It’s a great deal because we often drive there and stay for less than an hour. They have lots of kids themes and a separate kids zoo, as well as free parking. I know not all zoos are free, but look for similar attractions in your area. If there aren’t free zoos, try finding a free museum. Some children’s museums are free a certain day of the week or month. Most government owned museums are also free. There is an Air Force Base near us (Volk Field) that has dozens of retired fighter jets, airplanes, helicopters and tanks. They are all free, outdoors and require a little exercise to view. Most air bases have free museums of retired aircraft. We also stopped at one called Robbins Air Force Base in Georgia. It had an SR71 Blackbird and over 300 other aircraft. If you don’t have an airbase or museum nearby, you can always just go to a local airport and watch the airplanes. Kids love it. Every day around noon the local air national guard flies three fighter jets around town and they take off and land at the local airport. Another free form of entertainment is doing a scavenger hunt. You don’t have to actually hide things for people to find, but instead print off a list of things to find in nature and give each person a sheet of paper with a checklist. Add things like squirrels, certain nuts, berries, different trees, structures or anything else you find in nature. There are lots of good examples of this if you do a separate search for “nature scavenger hunt”. Although you need a license to fish if you’re an adult, kids can fish for free. Not only is fishing fun, but it is free and can take up a lot of time. We have a free children’s trout pond that is stocked each year and is free for children and physically disabled individuals to fish. It is a great, secluded spot that hardly anyone knows about. The summers are full of farmers markets. As far as I know, they are all free to get into. The best part about these events is all of the people watching. There are all types of people that come to these events. From the city type to the country type, and from businesspeople to hippies, you can watch all kinds of people interact at a good farmers market. You can also pick up some cheap organic produce if you’re in the mood. There are several free outdoor concerts around our city. During the summer, there is one night a week that a different type of band or musicians play and people gather around the capitol to drink wine and listen to live music. Also, there is a University Union that has a terrace and has free live music most summer nights. Also, several suburbs have similar programs that are mostly free. Check your local classifieds or calendar of events to find concerts in your area. 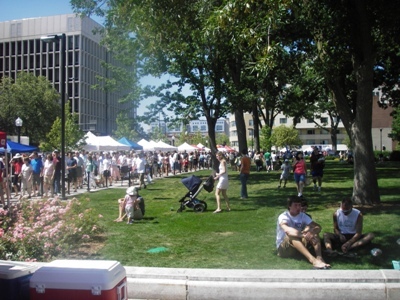 Outdoor festivals are common in the summer. Near us, there is Fitchburg Days, Fiesta Italia and even SummerFest in Milwaukee isn’t too far away. These festivals are free to enter and you can walk around for hours and listen to music, watch people dance, and just plain watch people. These are my favorite things to do for free. If you have something to add, please leave us a comment below. That is truly a great list. I should agree that most of them are fulfilling, healthy, and cost-effective in nature. I have not tried fishing though. Wish to do one someday. I love visiting state parks, they’re almost always a great destination for a day trip. Enjoying nature can be so fun with family and friends, and it’s often something people overlook. I think that many people also just tend to put themselves in one camp or the other when it comes to outdoors, either you love it and spend all your time outdoors, or you hate it and only go shopping or whatever. That’s just ridiculous, I think balancing your time between outdoors and indoors is my favorite way to do things. After a family day at a state park, my family likes to go see a movie or something relaxing. Thanks for sharing your list! I’ll have to see if there are any free zoos in my area! Next post: How Much Are You Worth, I Mean Financially Of Course?